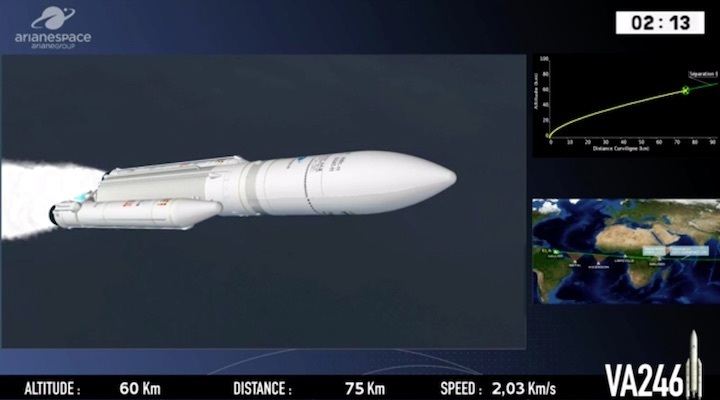 The Ariane 5 nears completion of its transfer from the Spaceport’s Final Assembly Building to the ELA-3 launch zone. 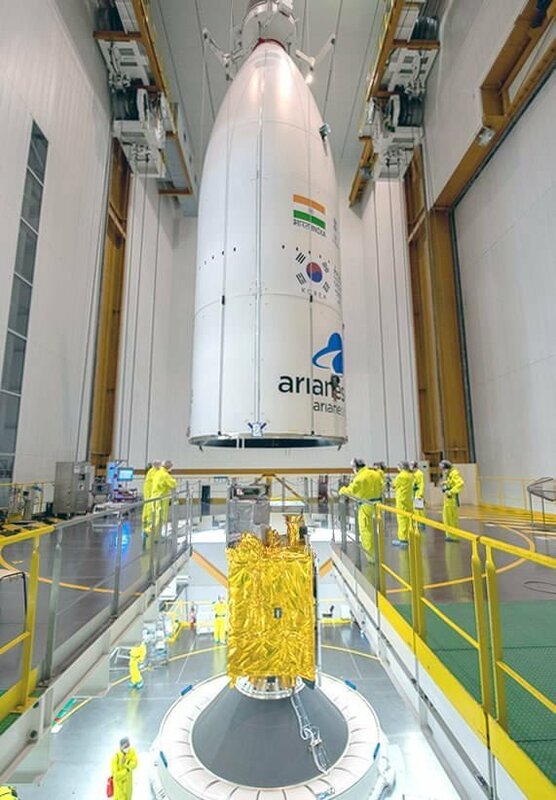 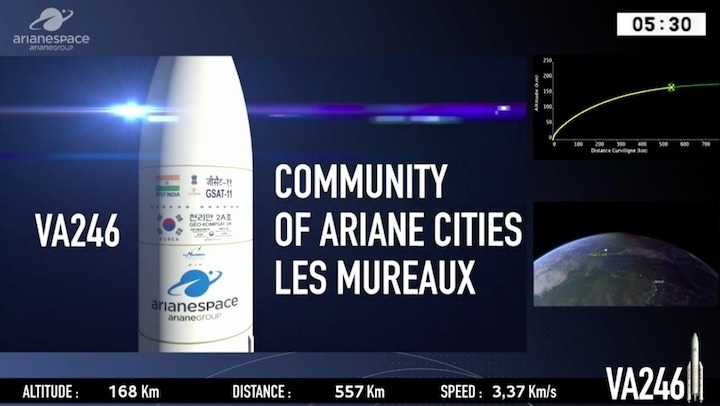 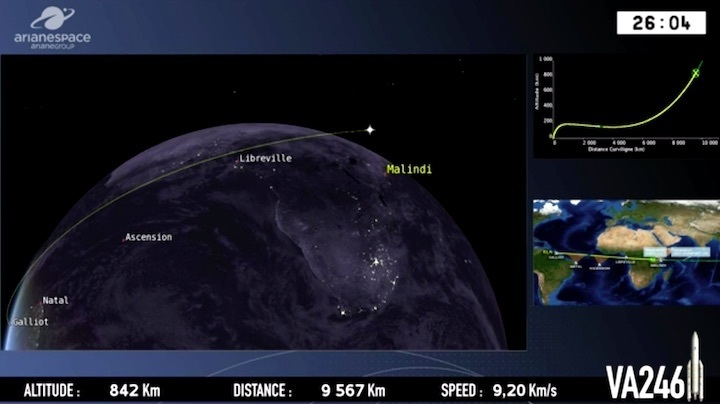 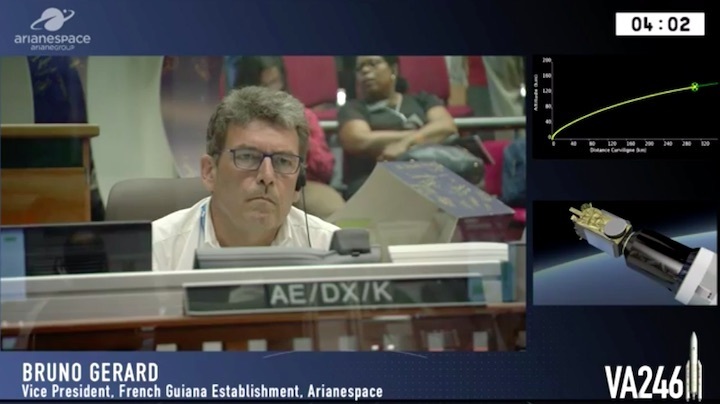 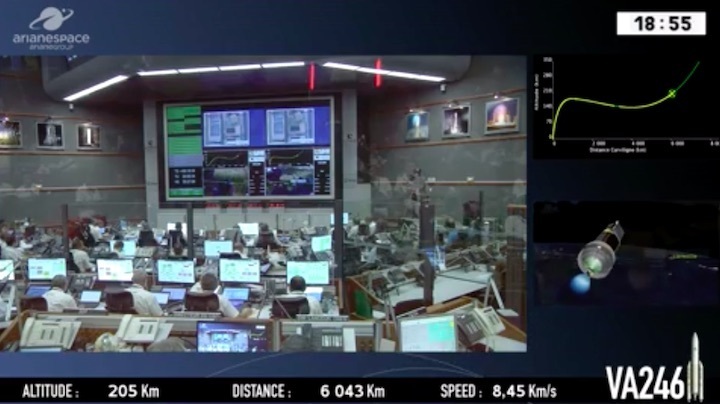 The Ariane 5 for Arianespace’s 10th mission of 2018 is now in the launch zone at French Guiana, positioning it for liftoff tomorrow with two international satellite payloads: India’s GSAT-11 and GEO-KOMPSAT-2A for Korea. 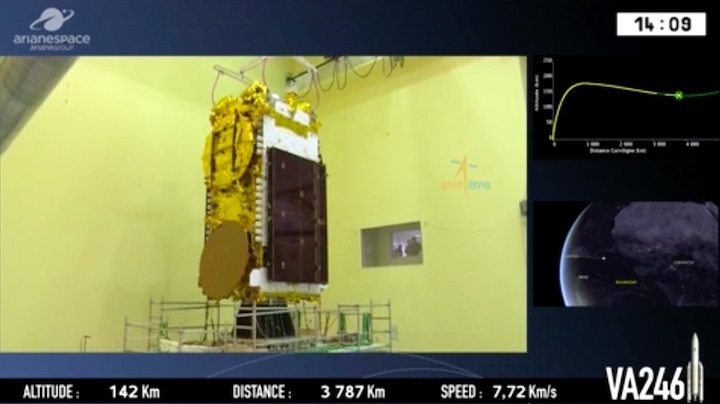 Logos for the GSAT-11 and GEO-KOMPSAT-2A satellite passengers are visible on Ariane 5’s payload fairing in this image taken prior to the launcher’s rollout today. 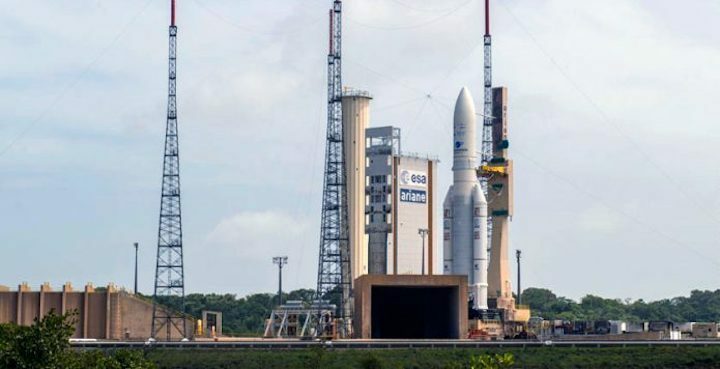 This heavy-lift launcher was transferred today from the Spaceport’s Final Assembly Building to the ELA-3 launch zone, enabling the final countdown to begin for its late afternoon departure on December 4 during a 1-hour, 16-minute launch window that opens at 5:37 p.m. local time in French Guiana. 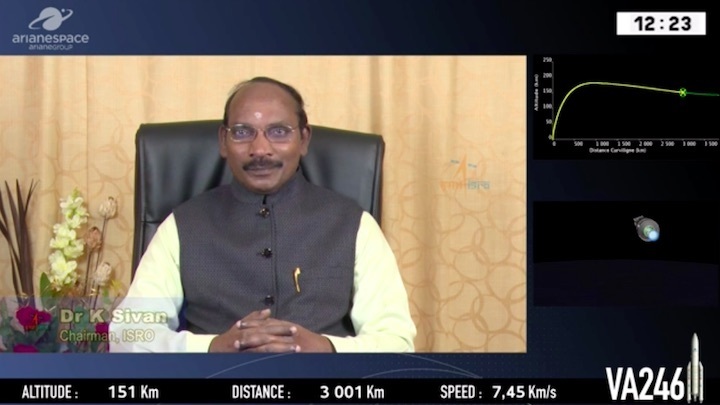 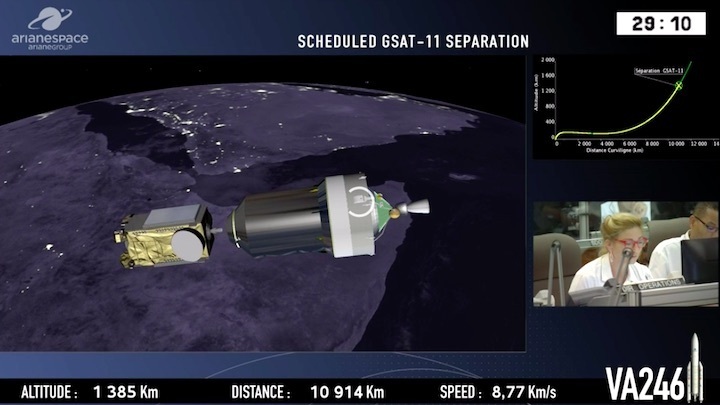 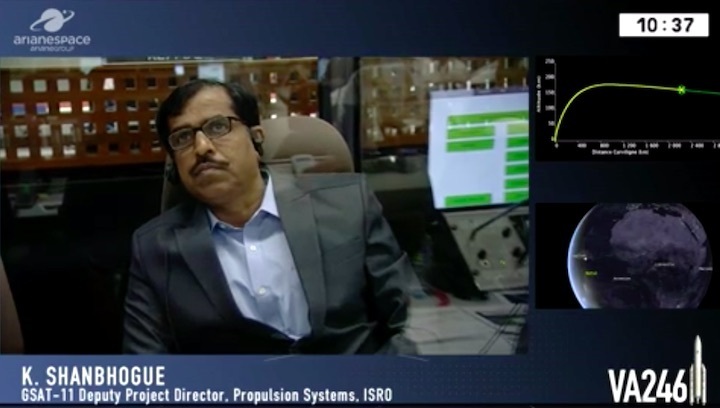 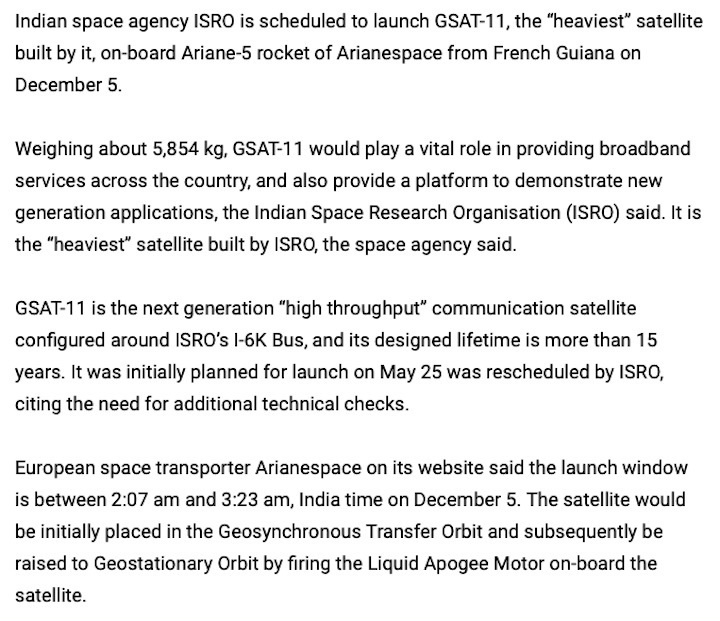 Riding in the upper payload position for the 33-minute mission to geostationary transfer orbit is GSAT-11, built by Indian Space Research Organisation (ISRO). 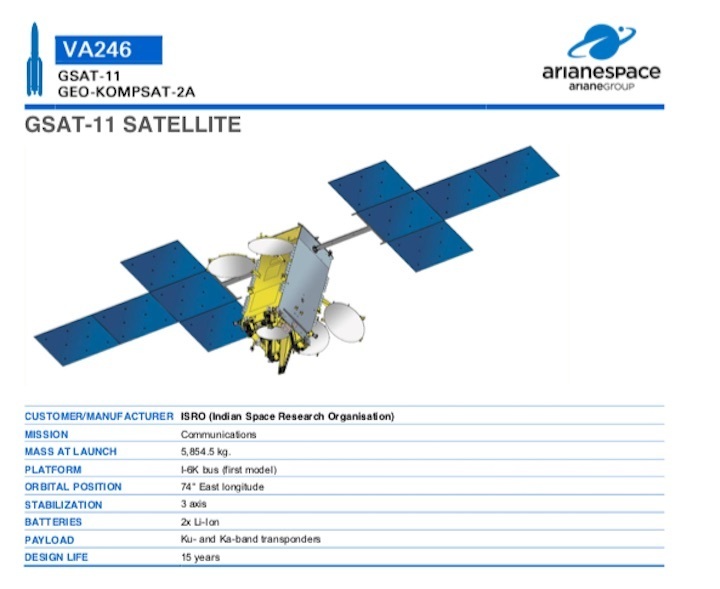 With a liftoff mass set at 5,854.5 kg., it is ISRO’s largest and heaviest communication satellite ever, configured on the space agency’s next-generation I-6K satellite bus. 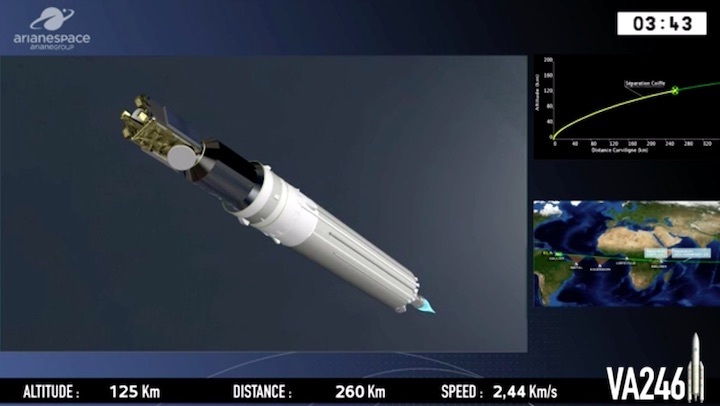 It will be positioned at 74 deg. 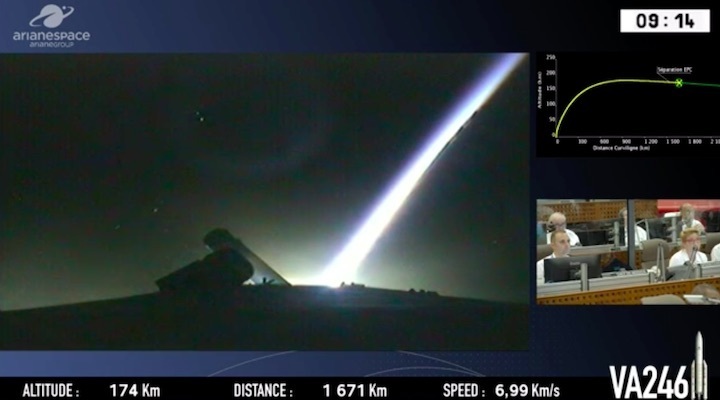 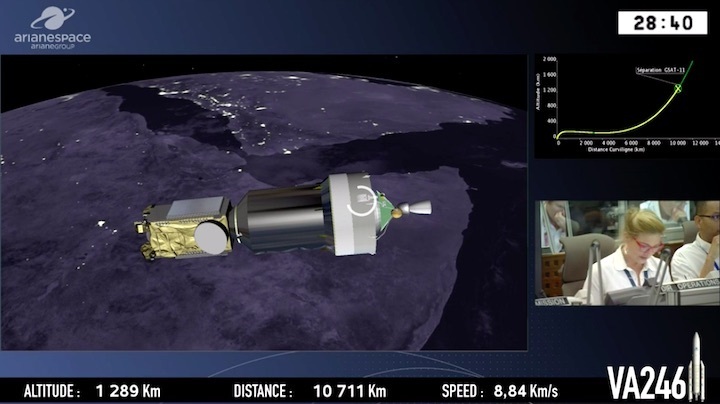 East after deployment by Ariane 5, providing communications services in Ku- and Ka-bands in both forward and return links. 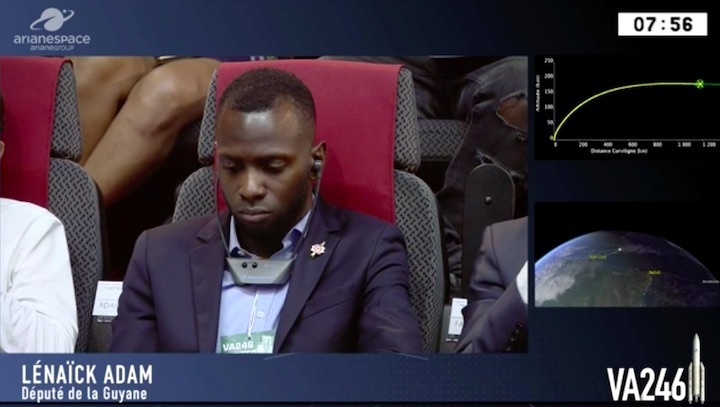 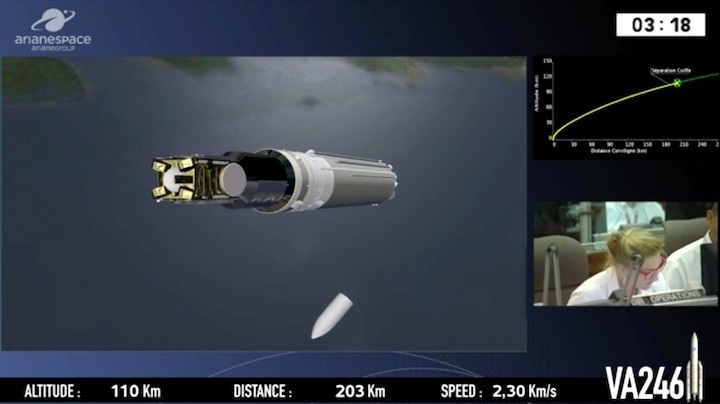 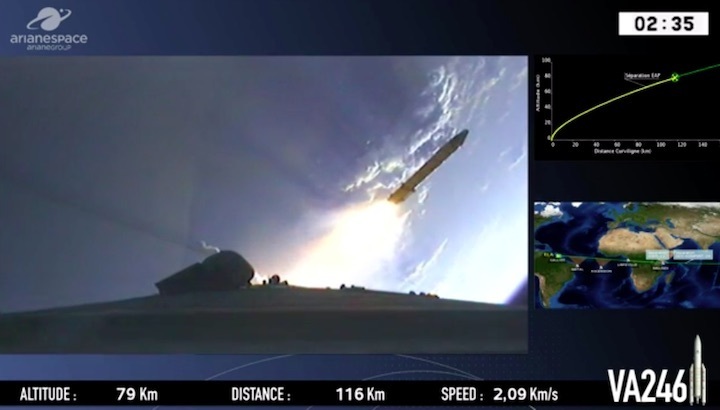 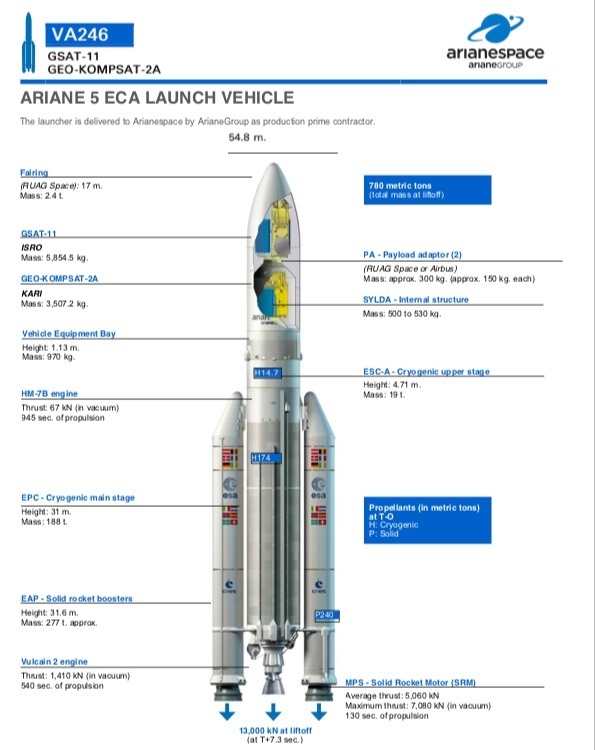 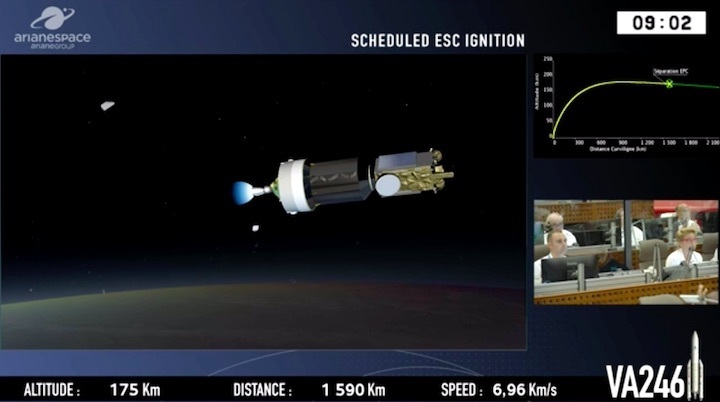 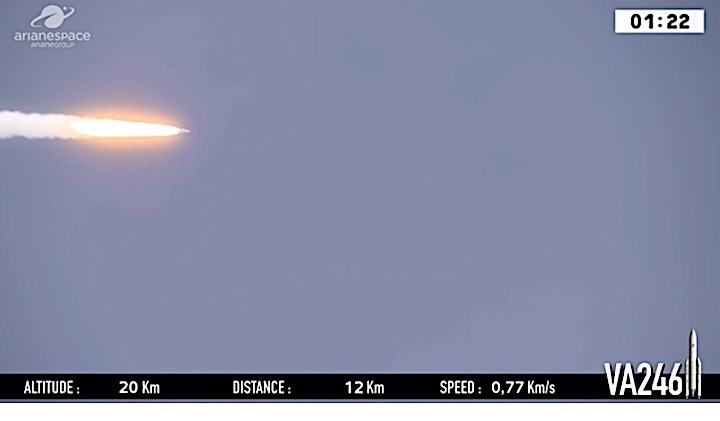 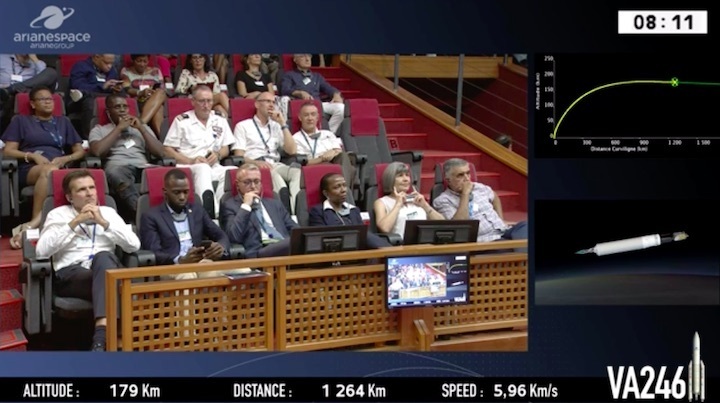 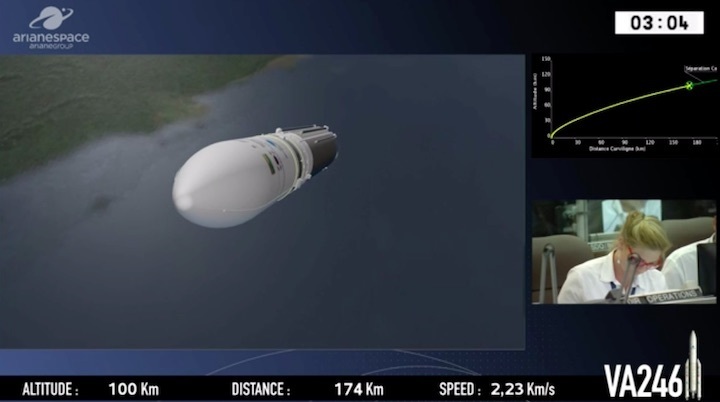 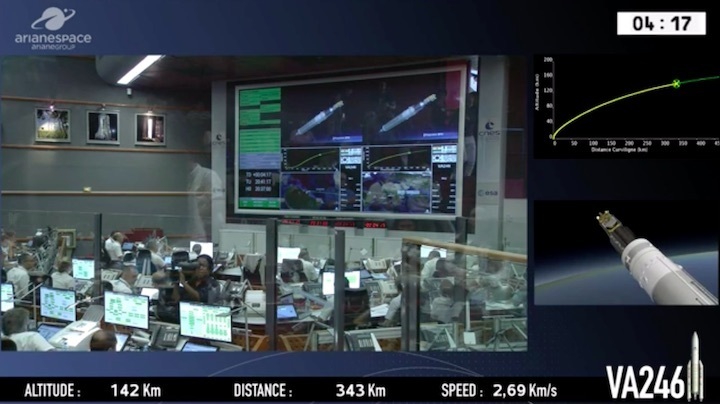 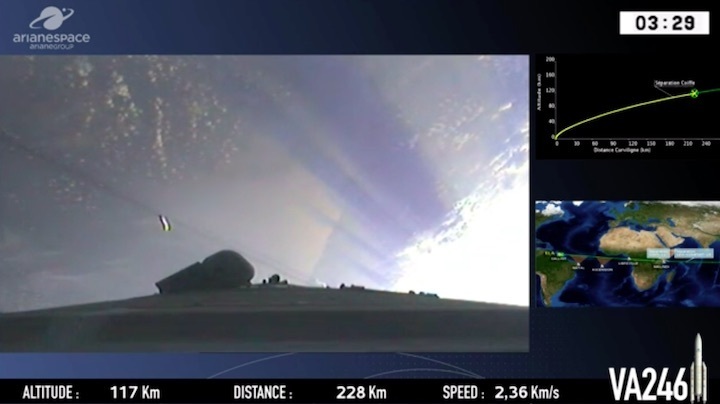 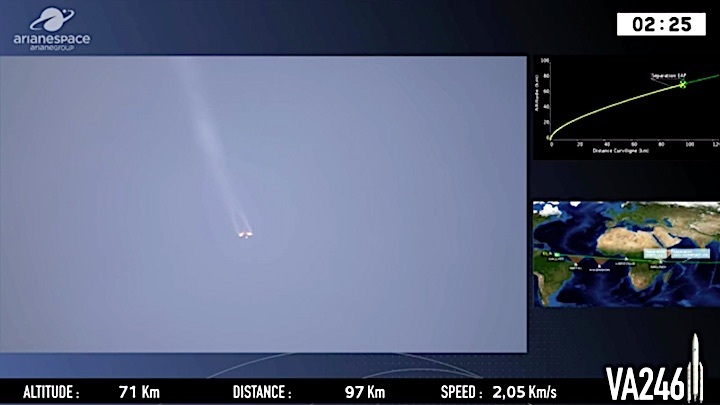 Ariane 5’s lower passenger is the 3,507.2-kg. 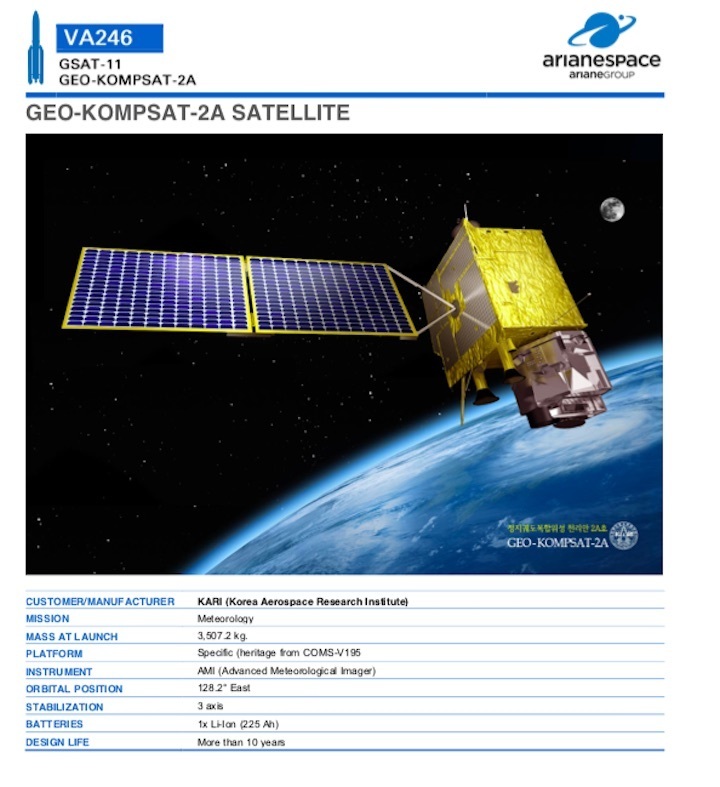 GEO-KOMPSAT-2A, which is designed for meteorological and space weather monitoring missions as part of a Korean government national program. 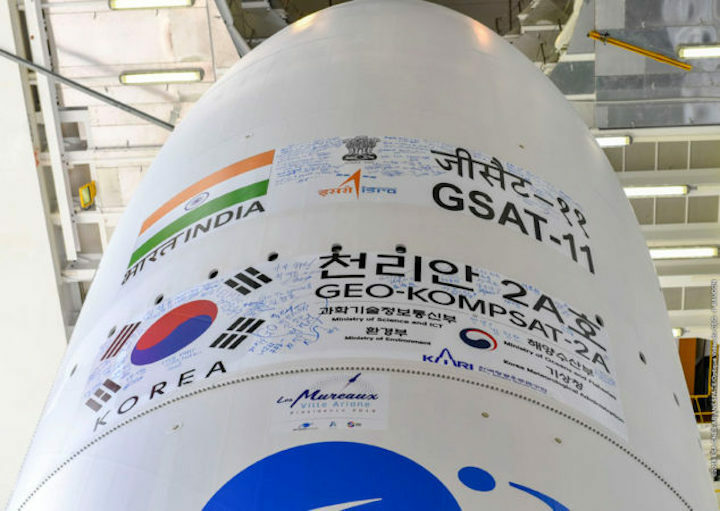 Produced by the Korea Aerospace Research Institute (KARI) at its facility in Daejeon, South-Korea – and to be stationed at the 128.2 deg. 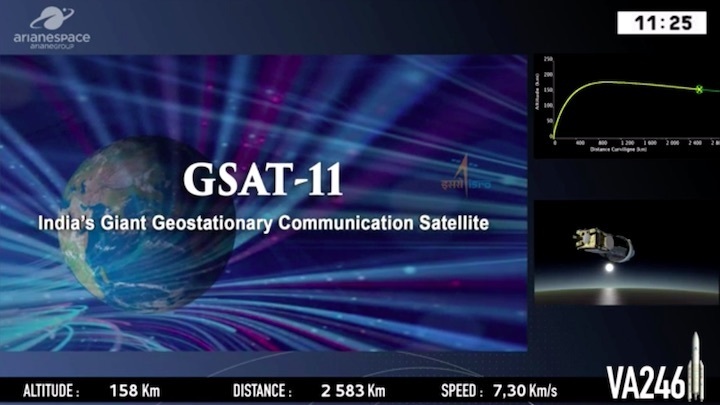 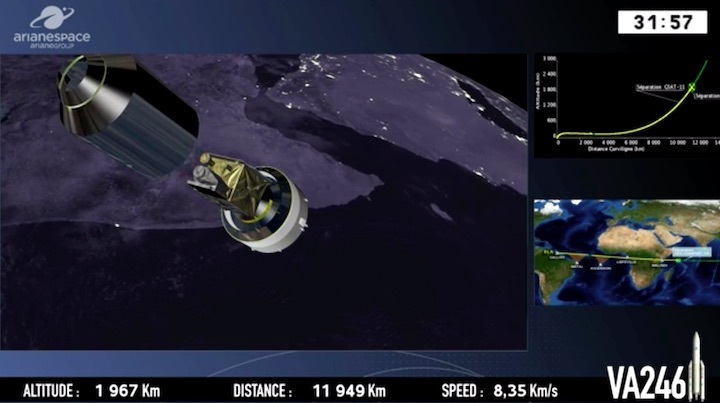 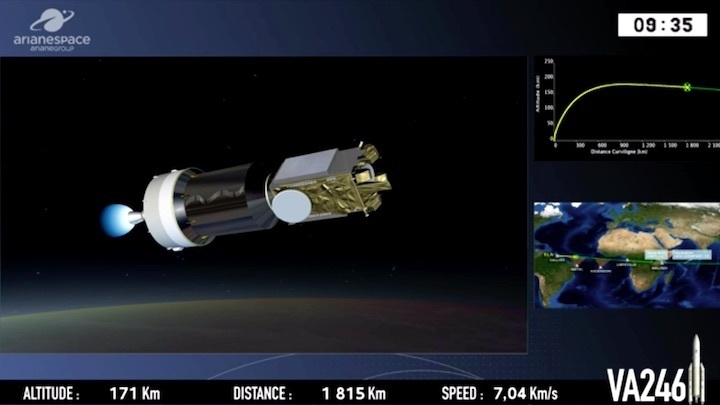 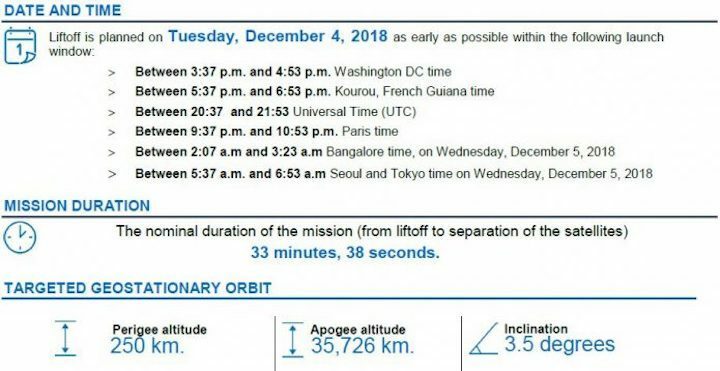 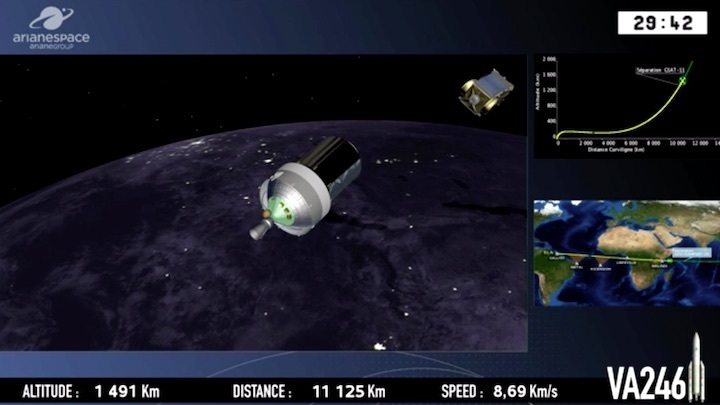 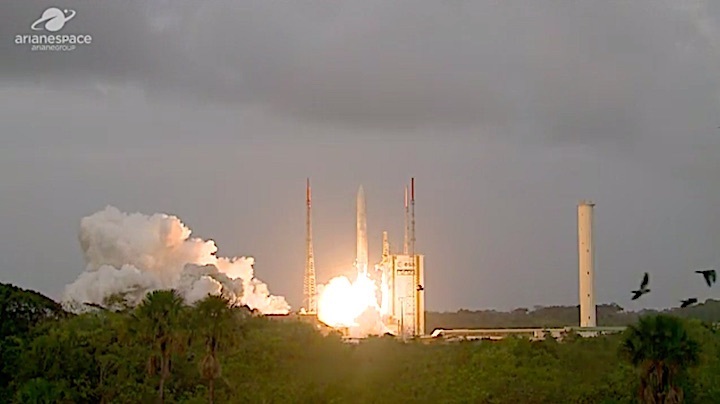 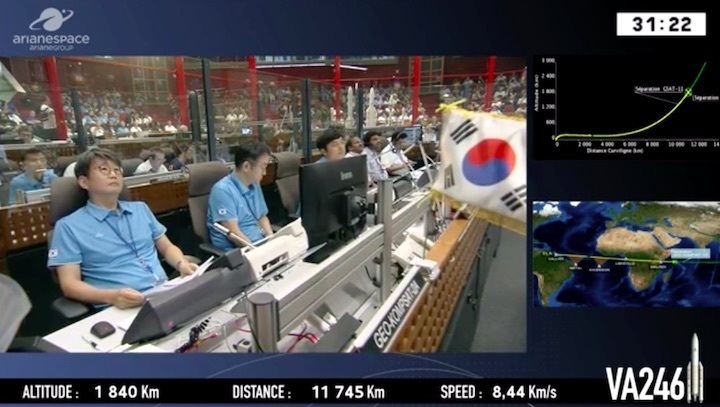 East orbital location – GEO-KOMPSAT-2A will be the seventh satellite launched by Arianespace for South Korea. 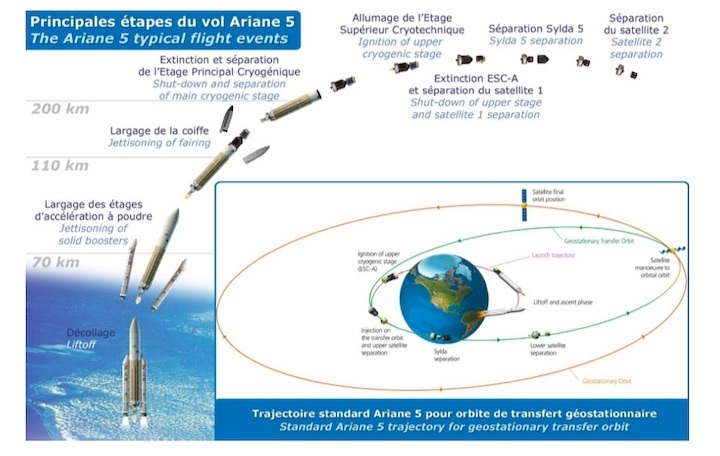 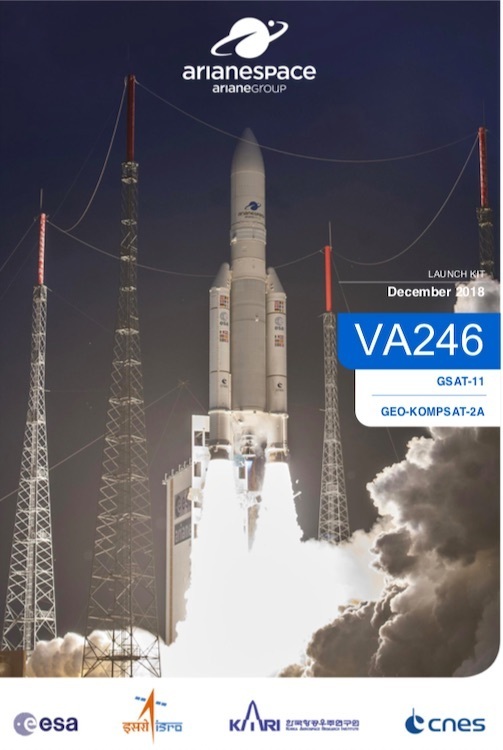 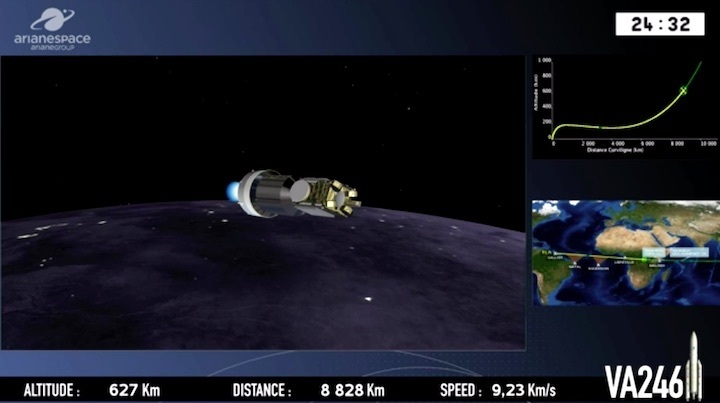 Designated Flight VA246, the upcoming mission is the 246th launch of an Ariane family vehicle and Arianespace’s sixth in 2018 using the workhorse Ariane 5. 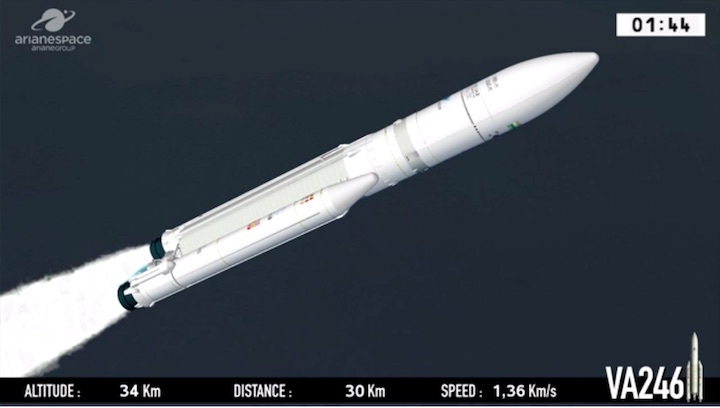 The heavyweight launcher will deliver a lift performance of more than 10,200 kg., which includes the mass of its two satellite passengers as well as the Ariane 5’s dual-payload deployment system and integration hardware.